In a series of posts you will find here, I illustrate how the principles on which Tandana is founded play out in concrete application through discussions of my own experiences as well as those of community members and volunteers who have worked with Tandana. We see how reaching out to others with a personal approach leads, both in theory and in practice, to a world that is, incrementally, more peaceful and more just. This personal approach could serve not only as impetus for one organization’s work but also to transform the character and effects of other groups seeking right relationship with others. This is the eighth in a series of 10 posts that will give insight into both the philosophical reasons and the concrete effects of reaching out to others with a personal approach. If you missed Part 1, 2, 3, 4, 5, 6, or 7, read them here. One of the moral obligations that arises from face-to-face interactions is respect for the other.125 Respect requires showing “due regard for the feelings, wishes, rights, or traditions of others.”126 When we recognize absolute otherness through the face of the other, we must show regard for the other’s feelings, wishes, rights, and traditions, as we cannot fit them into an overarching schema through which we could judge them. The term respect, however, is used in several different ways based on differential power relations, as something commanded, something earned, or something accorded. Respect, in the sense of heeding the greater power of a figure of authority can reinforce hierarchical dynamics, whereas respect accorded to those in subordinate positions, which insists on treating them as equals, can weaken the sway of power. As Levinas argues, “The face speaks to me and thereby invites me to a relation incommensurate with a power exercised.”127 Choosing to accept this relation, we limit the working of power. Respecting the alterity of the other, we relate “to what is different not by denying one’s deepest convictions but by encasing them in a prior commitment to a humility that trumps the certainties of reason or revelation and in doing so denies space to power.”128 We look at “the unfamiliar from a perspective that does not a priori presume its provisionality,” but rather recognizes its possibility for coherence even if understanding it proves to be difficult.129 This perspective “places the onus on the comprehending subject and not on the studied object [and] . . . suggests a limitation on our knowledge without predicating this on the essentiality of the object.”130 Respect asks us to seek to understand, rather than expect the other to fit herself into our familiar categories. Respect also calls Tandana representatives to learn about, honor, and adapt to the various cultures that our community partners identify as their own. 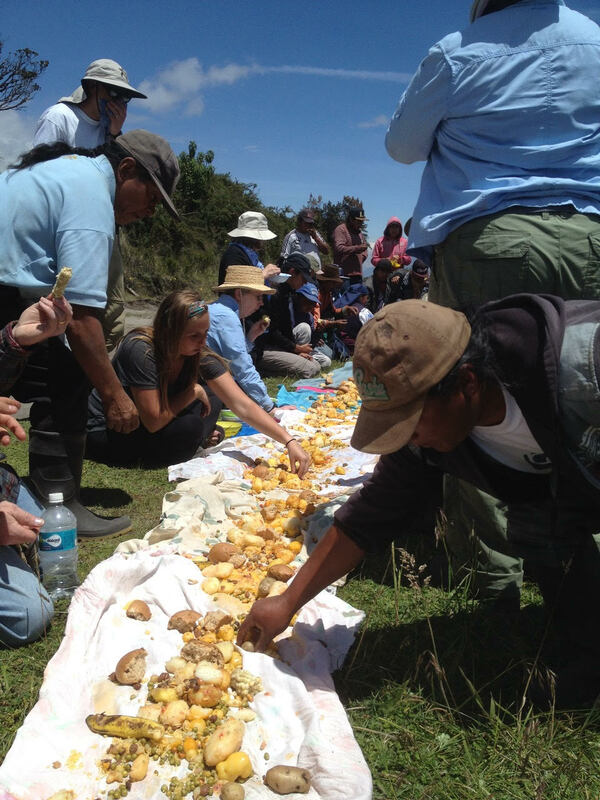 In Quichinche, Ecuador, a gift of food is an important sign of friendship, representing the hard work that went into cultivating the crops. Good manners call for eating it with gusto and taking any leftovers home with you. I have heard of other medical volunteer groups who have refused to eat food offered by the community, caring little about the offense they were causing. Tandana staff teach the volunteers to accept gifts of food with a smile and take any leftovers with them. Practicing respect is particularly important for those who occupy positions of greater power in global hierarchies. Those in positions of lesser privilege tend to learn respect, in the sense of respecting an authority, as a matter of survival or as a strategic tool, whereas those in more powerful locations must make a moral decision to accord respect and “deny space to power.” Tandana’s Values Statement acknowledges the different levels of need for respect across hierarchies, affirming, “We recognize the need to pay special attention to cultures that have historically been devalued,” and “We support the efforts of indigenous peoples to reclaim, express pride in, and strengthen their cultures.”138 In practice, this respect plays out in expressions of interest in and appreciation for aspects of local knowledge, ways of doing things, histories, experiences, and cultural expressions. Learning to make bread or bracelets, following the lead of local expert masons on building projects, learning local languages, inquiring about customs and ceremonies, joining in celebrations, asking questions about hosts’ past experiences, learning to draw water from a well, learning how to milk a cow, and simply paying close attention are all ways that Tandana visitors show respect for their hosts’ cultures, which have traditionally been devalued. 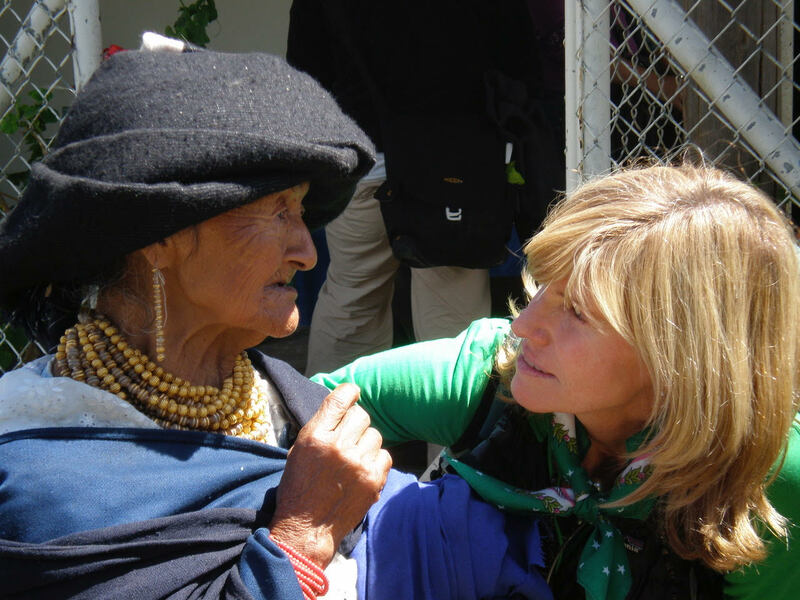 Esther Perugachi from Cutambi, Ecuador, who taught a group of Tandana volunteers how to make bread, bracelets, and scarves, said, “The day we made bread, the day we were here making scarves and bracelets, I really felt good. People were asking me questions, as if I were someone important.”139 It is a tragic injustice that leaves Esther typically feeling as though she were not someone important, and that history makes demonstrating her importance to her even more urgent. Respect for cultures, knowledge, techniques, and experiences is valuable, but ultimately respect for the people to whom they belong is more important. I learned this lesson through a mistake I made in working with the village of Kansongho, Mali. Local leaders had proposed planting a fruit orchard, which would need to be enclosed to prevent livestock from devouring the young trees. They had requested funds for a chain- link fence to keep the animals out. 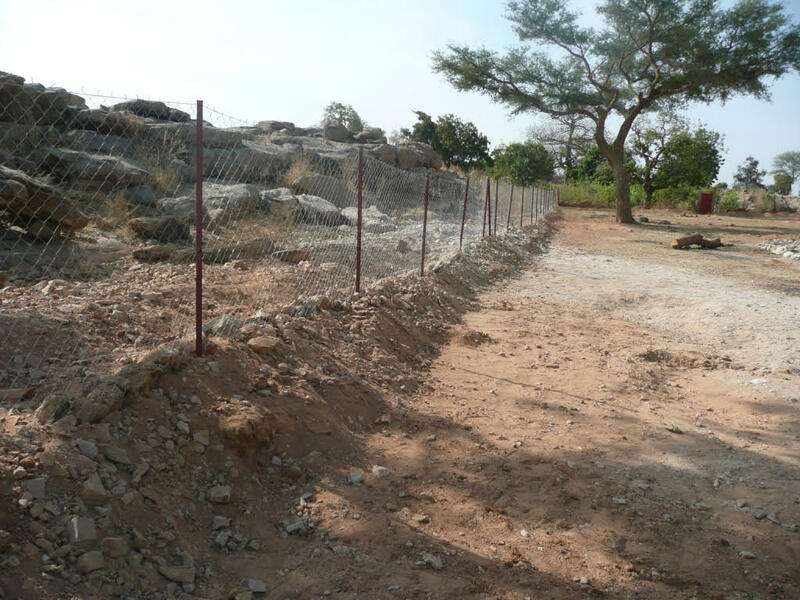 Wanting to valorize traditional technologies and ways of doing things, I proposed that instead we build a stone wall to protect the orchard, and village leaders agreed. 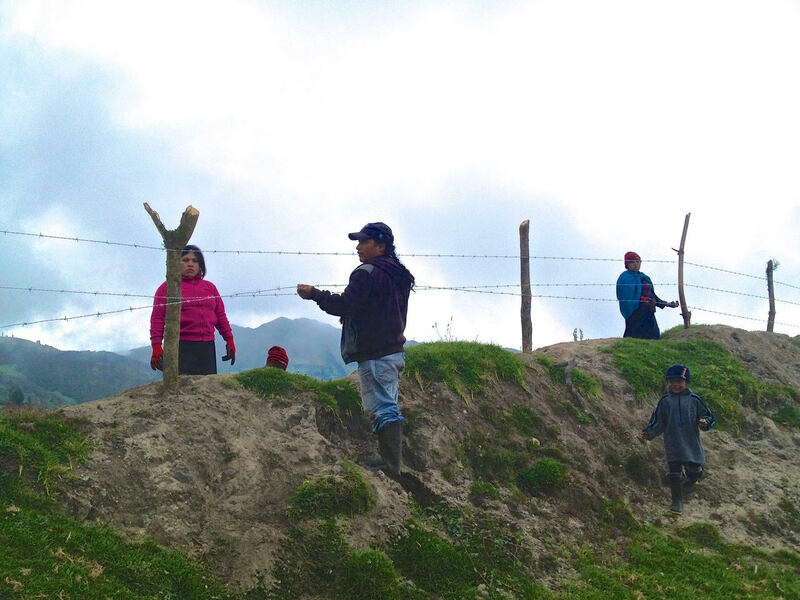 A Tandana volunteer group visited Kansongho and worked alongside residents to build the wall. Local men blasted enormous stones from the bedrock and rolled them into place, while volunteers and local youth carried smaller stones. 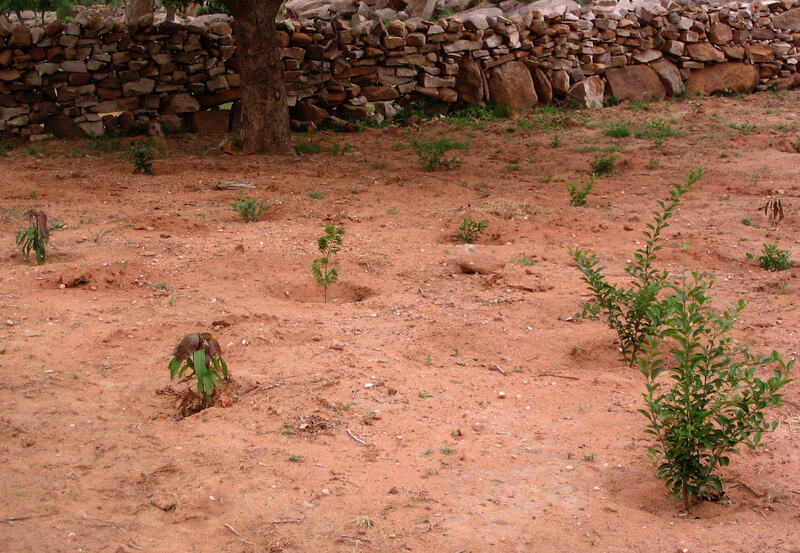 After several days of work, the wall was complete and the young trees were planted inside. own image of what respecting their traditions would look like. More important, of course, is actually listening with respect to people. 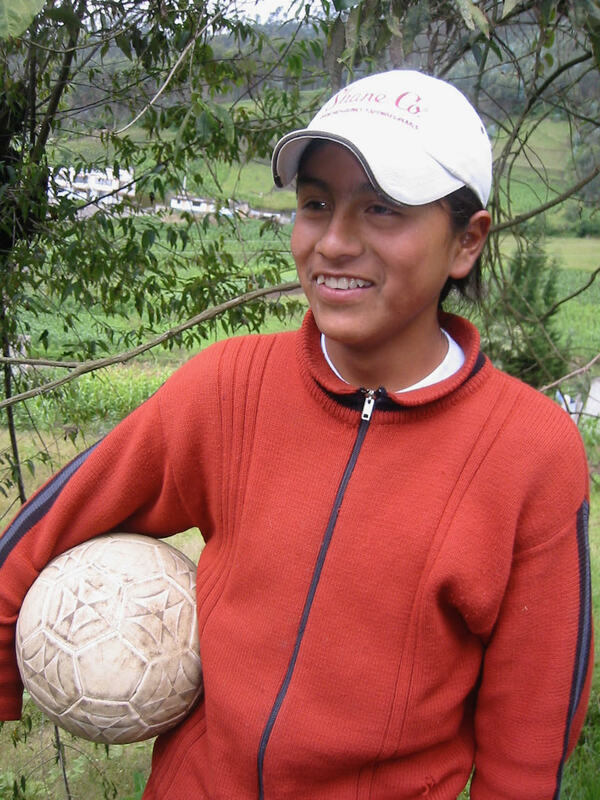 Mutual responsibility informs the relationships that Tandana creates. 124 In The Tandana Foundation, Ten Years of Joining Hands and Changing Lives, YouTube video, September 25, 2017 (https://www.youtube.com/watch?time_continue=374&v=bNgqTUr_N0s). 125 Arrow 20 on the diagram. 26 Oxford Living English Dictionaries, https://en.oxforddictionaries.com/definition/us/respect, accessed June 16, 2018. 138 The Tandana Foundation “Mission & Values,” accessed June 16, 2018, (tandanafoundation.org/mission_and_values.html). 139 Unpublished interview, April 12, 2016. 140 The Tandana Foundation, “What People Say About Their Experience,” accessed May 16, 2018 (http://tandanafoundation.org/testimonials.html). 142 Arrows 21 and 22 in the diagram. 147 Ibid., 168, emphases in original. En una serie de publicaciones que encontrará aquí, ilustre cómo los principios en los que se basa Tandana se llevan a cabo en una aplicación concreta a través de discusiones sobre mis propias experiencias y las de los miembros de la comunidad y voluntarios que han trabajado con Tandana. Vemos cómo llegar a otros con un enfoque personal conduce, tanto en la teoría como en la práctica, a un mundo que es, de manera incremental, más pacífico y más justo. Este enfoque personal podría servir no solo como un impulso para el trabajo de una organización, sino también para transformar el carácter y los efectos de otros grupos que buscan una relación correcta con los demás. Este es el octavo de una serie de 10 publicaciones que dará una idea de las razones filosóficas y los efectos concretos de acercarse a los demás con un enfoque personal. Si te perdiste la Parte 1, 2, 3, 4, 5, 6, y 7, léelas aquí. El respeto también llama a los representantes de Tandana a aprender, honrar y adaptarse a las diversas culturas que nuestros socios comunitarios identifican como propias. En Quichinche, Ecuador, un regalo de comida es un importante signo de amistad, que representa el arduo trabajo que se llevó a cabo para cultivar los cultivos. Los buenos modales requieren comer con gusto y llevarse las sobras a casa. He oído hablar de otros grupos de voluntarios médicos que se han negado a comer los alimentos ofrecidos por la comunidad, sin preocuparse por la ofensa que estaban causando. El personal de Tandana enseña a los voluntarios a aceptar obsequios de comida con una sonrisa y se llevan las sobras. Practicar el respeto es particularmente importante para quienes ocupan puestos de mayor poder en las jerarquías globales. Los que ocupan puestos de menor privilegio tienden a aprender el respeto, en el sentido de respetar una autoridad, como una cuestión de supervivencia o como una herramienta estratégica, mientras que los que se encuentran en lugares más poderosos deben tomar una decisión moral de otorgar respeto y “negar el espacio al poder”. . ” La Declaración de Valores de Tandana reconoce los diferentes niveles de necesidad de respeto entre las jerarquías, afirmando: “Reconocemos la necesidad de prestar especial atención a las culturas que históricamente han sido devaluadas”, y “Apoyamos los esfuerzos de los pueblos indígenas para reclamar, expresar orgullo, y fortalecer sus culturas ”.138 En la práctica, este respeto se manifiesta en expresiones de interés y aprecio por aspectos del conocimiento local, formas de hacer las cosas, historias, experiencias y expresiones culturales. Aprender a hacer pan o brazaletes, seguir el liderazgo de expertos locales en proyectos de construcción, aprender idiomas locales, preguntar sobre las costumbres y ceremonias, participar en celebraciones, hacer preguntas sobre las experiencias pasadas de los anfitriones, aprender a extraer agua de un pozo, aprender cómo ordeñar una vaca, y simplemente prestando toda la atención es la manera en que los visitantes de Tandana muestran respeto por las culturas de sus anfitriones, que tradicionalmente han sido devaluadas. Esther Perugachi de Cutambi, Ecuador, quien enseñó a un grupo de voluntarios de Tandana a hacer pan, brazaletes y bufandas, dijo: “El día que hicimos pan, el día que estuvimos aquí haciendo bufandas y brazaletes, realmente me sentí bien. Las personas me hacían preguntas, como si yo fuera alguien importante ”.139 Es una injusticia trágica que hace que Esther se sienta como si no fuera alguien importante y que la historia hace que demostrar su importancia sea aún más urgente. El respeto por las culturas, los conocimientos, las técnicas y las experiencias es valioso, pero en última instancia, el respeto por las personas a las que pertenecen es más importante. Aprendí esta lección a través de un error que cometí al trabajar con el pueblo de Kansongho, Mali. Los líderes locales propusieron plantar un huerto frutal, que debería incluirse para evitar que el ganado devore a los árboles jóvenes. Habían solicitado fondos para una cerca de alambre para mantener a los animales fuera. Queriendo valorizar las tecnologías tradicionales y las formas de hacer las cosas, propuse que en su lugar construyéramos un muro de piedra para proteger el huerto, y los líderes de las aldeas estuvieron de acuerdo. Un grupo de voluntarios de Tandana visitó Kansongho y trabajó junto a los residentes para construir el muro. Los hombres locales lanzaron enormes piedras desde el lecho de roca y las colocaron en su lugar, mientras que los voluntarios y los jóvenes locales llevaron piedras más pequeñas. Después de varios días de trabajo, el muro se completó y los árboles jóvenes se plantaron en el interior. Encajaba perfectamente con la estética del pueblo, combinando con las paredes que los residentes tenían alrededor de sus complejos. Sin embargo, en un mes, las cabras habían trepado la pared, y en la siguiente temporada de lluvias, una tormenta violenta sopló sobre una sección. Después de eso, reemplazamos el muro con una cerca de alambre, que ha protegido el jardín durante ocho años. En lugar de escuchar respetuosamente el plan de los líderes locales, traté de seguir mi 139 imagen propia de lo que sería respetar sus tradiciones. Lo más importante, por supuesto, es escuchar con respeto a las personas. La responsabilidad nos permite no solo satisfacer las necesidades de los demás, sino también ser verdaderamente nosotros mismos. La responsabilidad mutua informa las relaciones que Tandana crea. Dans une série d’articles que vous trouverez ici, j’illustrerai comment les principes sur lesquels Tandana est fondée se concrétisent par des discussions sur mes propres expériences ainsi que sur celles de membres de la communauté et de bénévoles qui ont travaillé avec Tandana. Nous voyons comment le fait de s’approcher aux autres avec une approche personnelle conduit, à la fois en théorie et en pratique, à un monde de plus en plus pacifique et plus juste. Cette approche personnelle pourrait non seulement servir d’élan au travail d’une organisation, mais aussi transformer le caractère et les effets d’autres groupes à la recherche de bonnes relations avec les autres. Il s’agit de la huitième d’une série de 10 publications qui donneront un aperçu à la fois des raisons philosophiques et des effets concrets de la prise de contact avec une approche personnelle. Si vous avez manqué la Partie 1, 2, 3, 4, 5, 6 et 7, lisez-la ici. Le respect appelle également les représentants de Tandana à apprendre, à honorer et à s’adapter aux diverses cultures que nos partenaires communautaires considèrent comme leurs cultures propres. À Quichinche, en Équateur, un cadeau de nourriture est un signe important d’amitié, ce qui représente le dur travail accompli pour cultiver les cultures. Les bonnes manières exigent de manger avec plaisir et de rapporter les restes à la maison. J’ai entendu parler d’autres groupes de volontaires médicaux qui ont refusé de manger la nourriture offerte par la communauté, sans se soucier de l’infraction qu’ils causaient. . Le personnel de Tandana apprend aux volontaires à accepter les cadeaux avec un sourire et à en retirer les restes. María Esther Manrrique, infirmière au centre de santé de Gualsaqui, a expliqué aux volontaires de Tandana: “Souvent, pour les étrangers, il s’agit d’un aliment inconnu, quelque chose qu’ils n’ont jamais mangé auparavant. Mais ils l’acceptent avec un sourire et jamais ils semblent en colère ou de mauvaise humeur. Cela donne plus de confiance à la communauté, donc elle parle plus ouvertement et partage de la nourriture. ” Le personnel et les bénévoles de Tandana tentent de s’adapter aux coutumes et pratiques locales, selon le cas. Comme l’explique Moussa Tembiné, “pour la Fondation Tandana, il n’y a pas de supériorité. Les volontaires acceptent de s’intégrer à la culture de la communauté. C’est ce qui donne confiance aux gens. ” 136 Respecter signifie traiter les gens avec dignité. Segundo Moreta de Rey Loma, Équateur, a déclaré: “Merci Tandana d’avoir restauré la dignité de la population.”137 Pratiquer le respect est particulièrement important pour ceux qui occupent des positions plus puissantes dans les hiérarchies mondiales. Ceux qui occupent des postes moins privilégiés ont tendance à apprendre le respect, au sens de respecter une autorité, comme un moyen de survie ou un outil stratégique, tandis que ceux qui se trouvent dans des lieux plus puissants doivent prendre la décision morale de respecter. et “nier l’espace au pouvoir.” . ” La Déclaration de valeurs de Tandana reconnaît les différents niveaux de besoin de respect parmi les hiérarchies, déclarant: “Nous reconnaissons la nécessité d’accorder une attention particulière aux cultures qui ont été dévalorisées par le passé” et “Nous soutenons les efforts des peuples autochtones pour revendiquer, exprimer leur fierté et renforcer leurs cultures. “138 Dans la pratique, ce respect se manifeste par des expressions d’intérêt et de reconnaissance pour des aspects des connaissances locales, des façons de faire, des histoires, des expériences et des expressions culturelles. Apprendre à faire du pain ou des bracelets, suivre le leadership d’experts locaux dans des projets de construction, apprendre les langues locales, poser des questions sur les coutumes et les cérémonies, participer aux célébrations, poser des questions sur les expériences des hôtes, apprendre à extraire l’eau des puits , apprendre à traire une vache et simplement en prêtant toute l’attention est portée à la manière dont les visiteurs de Tandana font preuve de respect pour les cultures de leurs hôtes, traditionnellement dévalorisés. Esther Perugachi de Cutambi, en Équateur, qui a appris à un groupe de volontaires de Tandana à fabriquer du pain, des bracelets et des écharpes, a déclaré: “Le jour où nous avons fait du pain, le jour où nous étions ici pour fabriquer des écharpes et des bracelets, je me sentais vraiment bien. Les gens m’ont posé des questions, comme si j’étais quelqu’un d’important. ” C’est une injustice tragique qui donne à Esther l’impression de n’être pas une personne importante et que l’histoire rend encore plus urgente. Le respect des cultures, des connaissances, des techniques et des expériences est précieux, mais finalement, le respect des personnes à qui elles appartiennent est plus important. J’ai appris cette leçon grâce à une erreur que j’ai commise lorsque j’ai travaillé avec les habitants de Kansongho, au Mali. Les dirigeants locaux ont proposé de planter un verger, qui devrait être inclus pour empêcher le bétail de dévorer les jeunes arbres. Ils avaient demandé des fonds pour une clôture en grillage pour empêcher les animaux d’entrer. Voulant valoriser les technologies et les façons de faire traditionnelles, j’ai proposé de construire un mur de pierre pour protéger le jardin, et les dirigeants du village ont accepté. Un groupe de volontaires de Tandana s’est rendu à Kansongho et a travaillé avec les habitants pour construire le mur. Des hommes de la région ont jeté d’énormes pierres du substrat rocheux et les ont mises en place, tandis que des volontaires et des jeunes de la région en ont emporté de plus petites. Après plusieurs jours de travail, le mur était terminé et les jeunes arbres étaient plantés à l’intérieur. Cela correspond parfaitement à l’esthétique de la ville, en combinant avec les murs que les résidents avaient autour de leurs complexes. Cependant, en un mois, les chèvres avaient escaladé le mur et lors de la saison des pluies suivante, une violente tempête a soufflé sur une section. Après cela, nous avons remplacé le mur par une clôture en fil de fer qui protège le jardin depuis huit ans. Au lieu d’écouter respectueusement le plan des dirigeants locaux, j’ai essayé de suivre mes propre image de ce que ce serait de respecter leurs traditions. Bien entendu, l’important est d’écouter les gens avec respect. La responsabilité nous permet non seulement de satisfaire les besoins des autres, mais aussi d’être véritablement nous-mêmes. La responsabilité est une autre valeur fondamentale de l’approche de Tandana. Dans un sens fondamental, la pratique de cette valeur consiste à se répondre les uns aux autres et à être prêts à accomplir ce que nous avons convenu de faire. Pour Tandana, la responsabilité signifie également de continuer à collaborer jusqu’à la fin du projet et de faire un suivi pour voir quels sont ses effets et si un soutien supplémentaire est nécessaire. Parfois, dans le but de renforcer leur indépendance, les ONG ont pour politique de rester très brièvement seules dans un domaine. Cependant, dans leur hâte, ils échouent parfois pour aider les communautés à réellement s’approprier les projets. Comme le disait Moussa Tembiné, “La Fondation Tandana ne se considère pas comme une ONG. Les ONG viennent. S’il s’agit de construire un puits, ils le font et ils s’en vont. Si c’est une banque de grain ou un moulin, ils le donnent et ils partent. Deux ou trois ans plus tard, le projet ne fonctionne plus “149. Tandana reste en contact avec la communauté, s’assurant que les dirigeants locaux sont équipés pour gérer le projet. En Équateur, Tandana a collaboré avec plusieurs communautés sur d’importants projets de construction, tels qu’un nouveau centre communautaire et un nouveau bâtiment d’école. Nous venons de passer 8 jours ensemble sans problèmes et avons appris à créer des outils qui nous permettront non seulement de réduire les enregistrements excessifs sur notre territoire, mais également la charge de travail pour nos femmes. La responsabilité mutuelle informe les relations que Tandana crée.